Luxury in-home bowling alleys throughout North America. Only the best commercial-grade components, selected and customized for residential settings. Unique bowling lane colors and patterns with optional custom graphics or logos. Color coordinated bowling pins and guest balls manufactured specifically for each customer with the homeowner's logo or name. 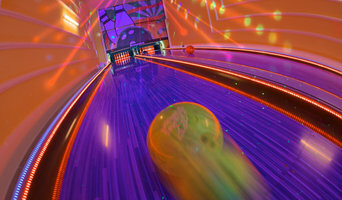 Gutter LED accent lighting, disco and glow bowling special effects, custom graphic panels above the pins, computer scoring system with instant replay on overhead TVs, lane maintenance kit, etc. Easy all-inclusive pricing covers design consultation, pre-installation site monitoring visits, freight, and installation labor. Installation time at project site is approximately two weeks. Lead time for equipment orders is approximately four months. Shines Studios is a cabinet painting, faux painting business located in Indianapolis, IN ruled by the creative couple Sarah Hines and Mets Schilstra. Our specialization is in custom cabinet finishes, concrete counters and countertops, and unique back splashes. 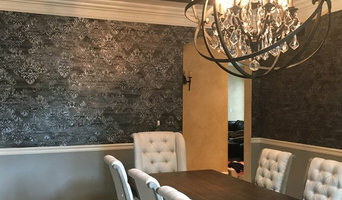 We also offer a full array of wall and ceiling faux finishes and painting. We do furniture restoration as well. Both Sarah and Mets are members of IDAL, the International Decorative Artisans League and Sarah is a CIR for Caromal Colours, a division of Country Living magazine. Mets is a certified installer for Vahallan Papers which are quite popular in commercial and residential settings. Shines Studios offers Cabinet and faux painting at its best for your upcoming projects. 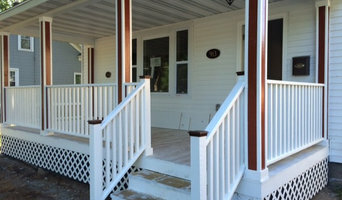 For a full view of our projects visit our website <a rel="nofollow" target="_blank" href="http://www.shinesstudios.com/">http://www.shinesstudios.com/</a> Contact Sarah at (317) 709-8015 or shinesstudios@gmail.com and Mets at (770) 366-9970. Online service providing virtual views of proposed changes to exteriors and interiors. At A Place to Grow, we pride ourselves on working with our clients to fulfill their dream of having their own unique “Place to Grow” whether it’s a greenhouse, artist studio, She Shed or outdoor dining area. We are an environmentally friendly company and each Outdoor Space we build is: •Created from recycled and reclaimed building materials •Re-purposed into functional art, keeping waste out of landfills •Custom designed and handcrafted •As unique as the reclaimed materials used to build it! Besides outdoor structures, we also do custom projects made from re-purposed materials such as bar stools, dining tables, potting tables, pergolas, arbors, gates, and windscreens. With 30 years of experience in the metal fabrication industry, Custom Metal Home is your one stop shop for high quality metal products made in the USA. We are proud to offer a variety of items that are engineered and manufactured in our suburban Chicago metal shop. Products available for online purchase include originally designed table bases, shelves and accessories. We also work with interior designers, contractors and homeowners across the country on custom projects including countertops, backsplashes, shelves, range hoods and more! New designs are regularly added to our online store for purchase. Contact us today for a quote on your next metal project!